Things that are embroidered add such a unique and personal touch to clothing, blankets, and more. I just love how embroidery looks and I’ve always wanted to learn how to do it by hand. This is one of the least expensive hobbies you can take up. It looks gorgeous no matter where you do it, and you can create anything from clothing to wall art just by learning this skill. In Handiworks tutorial below, she shows you several basic stitches for embroidering and you will be able to embroider like a pro in no time at all. I’ve embroidered some of the most fabulous things now that I know how to do this. My denim shirt is completely decorated, and the back has an awesome pattern I made. I get so many compliments! Do you want to learn how, too? 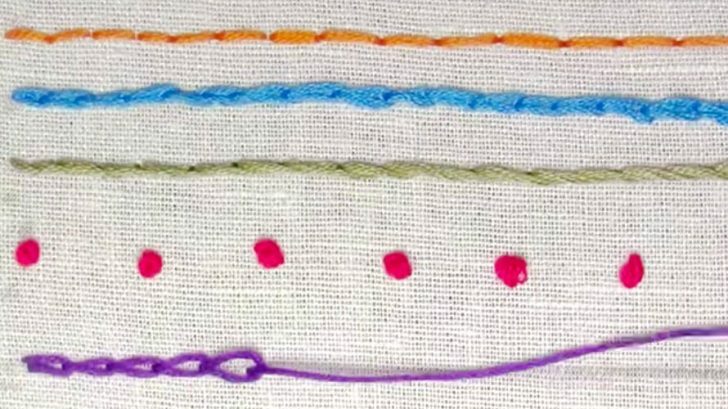 Watch how Handiworks creates these stitches in her step by step tutorial and get creative!